Entertainemnt One has just sent over some information about one of their upcoming films, Gang Story. They didn't send over the trailer below - as that's the subtitled version from the French distributor. 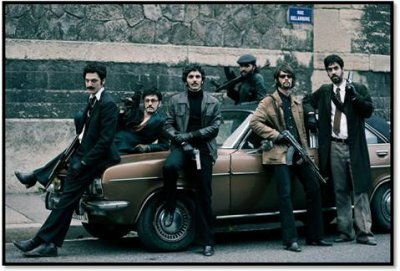 Based on a true story, Gang Story (Les Lyonnais) is the epic tale of Edmond Vidal (Lanvin) - one of the French underworld’s most notorious figures having led the Gang des Lyonnais to a spate of successful armed robberies in the 1970s. Overcoming dangerous gang rivalries and battles with the police, Vidal survived to enjoy the good life... until now. With his life-long friend Serge Suttel (Karyo) in trouble, Vidal gets drawn into one last job. But fighting against his own history and facing a desperate situation, is this the end for Vidal? Fans of gangster films such as Mesrine and Public Enemies will not want to miss Gang Story - an explosive action packed thriller where relationships collide in a saga that will keep fans gripped till the very end.